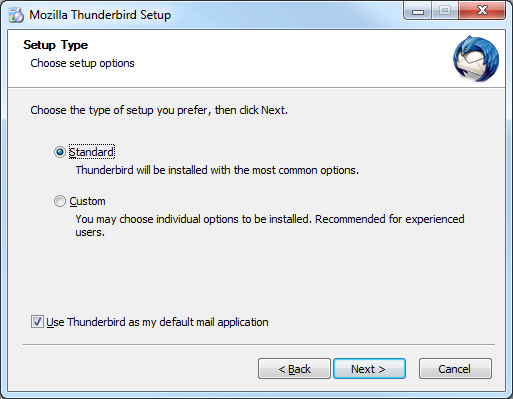 When Thunderbird has completed downloading Select "Run" or "Open"
You may also decide to have Thunderbird as your default mail application. 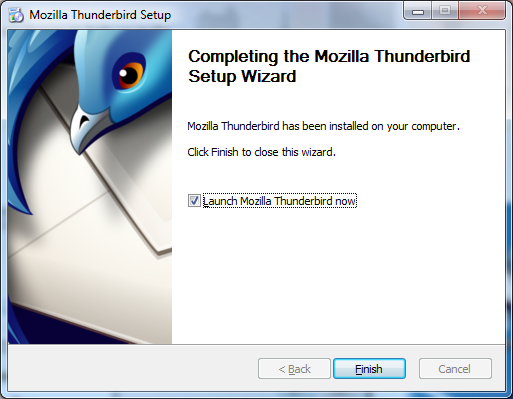 Thunderbird is now installed. 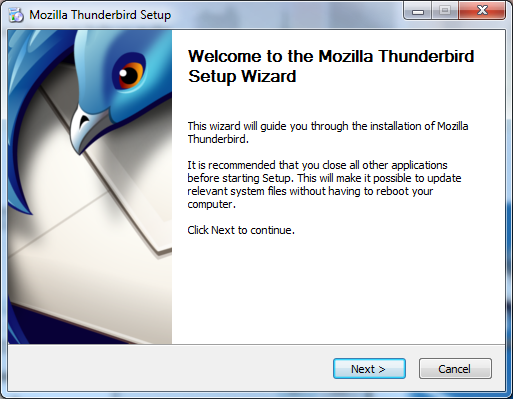 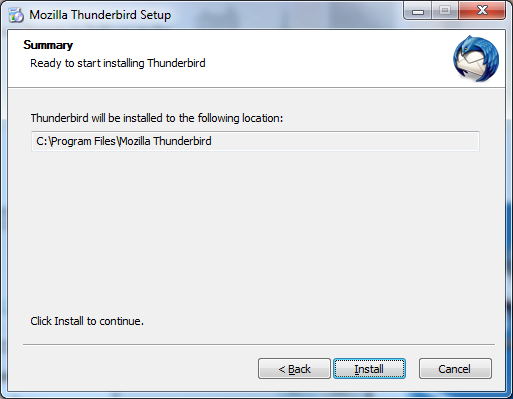 You may launch Thunderbird by leaving the checkbox for "Launch Thunderbird now"